You know those wonderful games where you think you've finished all the content, only to discover that there's a whole lot more to the story? Like when you figure out what's controlling Richter in Castlevania: Symphony of the Night, and then find out that there's another whole version of the Castle to explore? 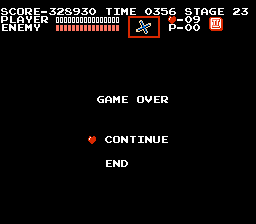 Or how about in Kid Icarus: Uprising, when you finish Stage 9, and Hades comes along and literally rips a hole in the credits sequence, and the game goes on for another 14 stages? Well surprise! My Life In Videoland is having one of those moments! It may have looked like a forgotten derelict blog, floating out in the miasma of the Internet, but in reality, it's been constantly on my mind. Life has just been really busy in the last three years. In the time since Sonic's 20th birthday, the last regular blog post I made, I've done work as a designer, had a stint at a Japanese teacher, moved a few times, authored two books for an educational software company, become a paid artist, sung in a choir, met the love of my life, got married, and then left the country again to earn a degree in Digital Humanities in Ireland alongside my spouse (for which I have my own academic blog). So, I've been a bit busy. A lot of things have gone on in Videoland, too, some of which beg extensions of older posts. Kid Icarus: Uprising was released, and actually managed to exceed my very high expectations—and the Japanese developers even used a message from me on their website! (in Japanese, of course!). Sonic Generations was released, and was a bit of a mixed bag. I could write extensively on both of these things, as well as on a number of other game series that I haven't touched upon that are dear to me. For starters, though, considering the proximity to All Hallows' Eve, the next best step for the blog might be to examine one of my favourite series, one that is very dear to me: Castlevania. And so, without further ado, let the next level begin!